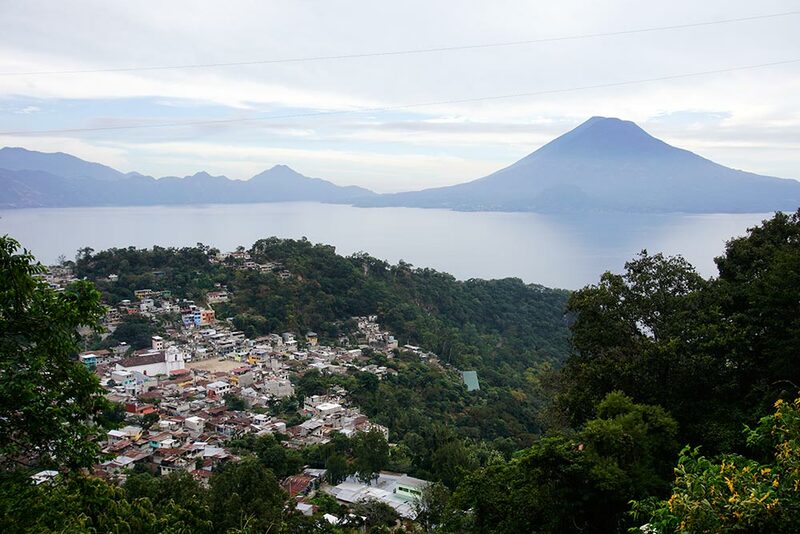 It was five days ago that we made the 56 km run from Santa Cruz to Lago Atitlan and since that time, we’ve enjoyed several days off the bike. Fortunately, these rest days were for much more positive reasons than the food-poisoning-induced day off that I described at the end of my last post. 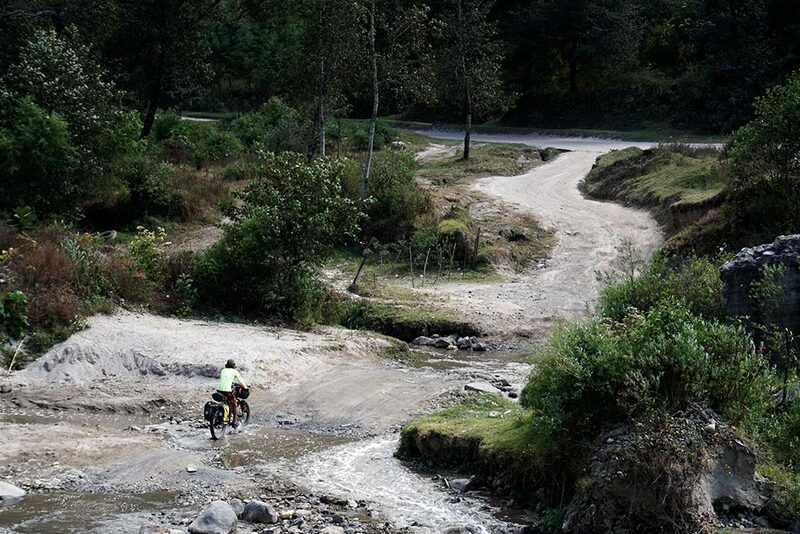 The ride should have been simple enough: just climb 500 or so meters and then coast downhill to the lake. If only it were that easy. Infamous: well known for some bad quality. 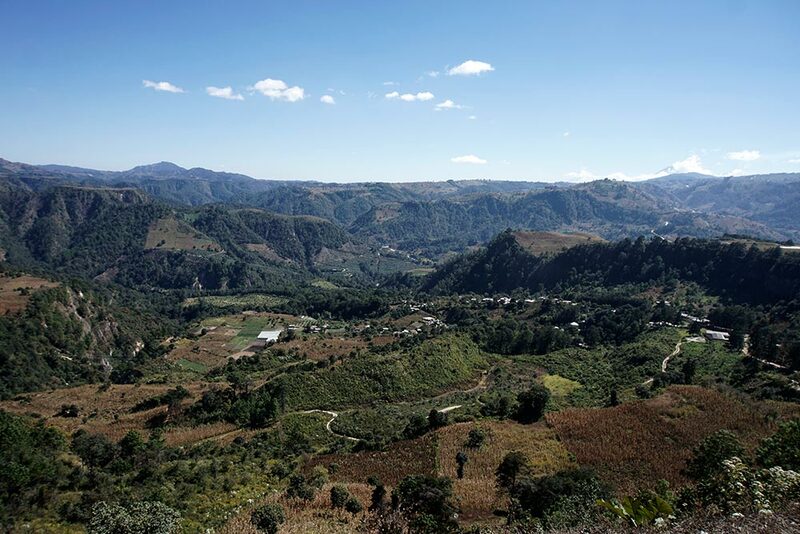 I think it’s fair to say that the hills of Guatemala are famous, if not infamous. 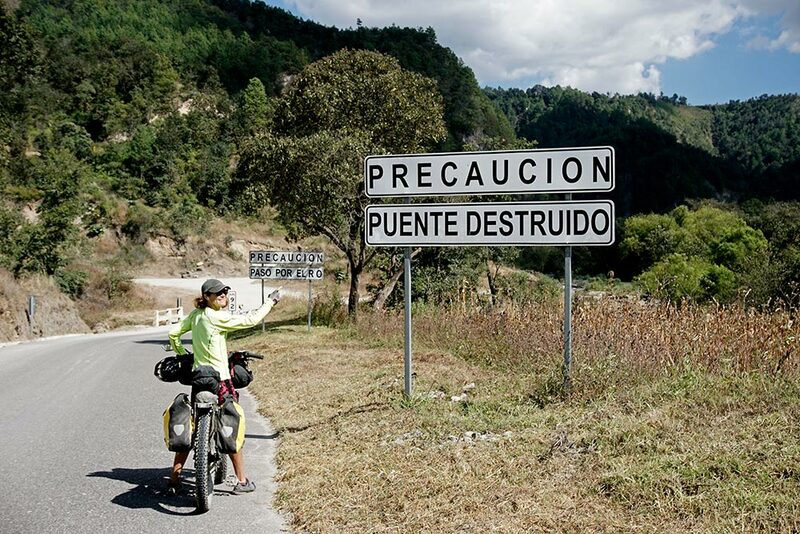 At a minimum, they are a subject often talked about by cyclists who have transited Central America. 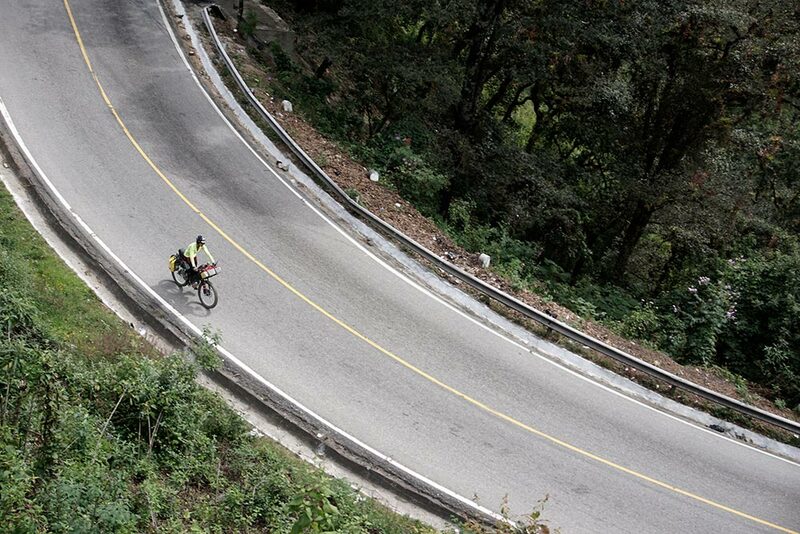 The steep hills continue to leave their mark on us: on our legs, on our memories, and on our brakes! 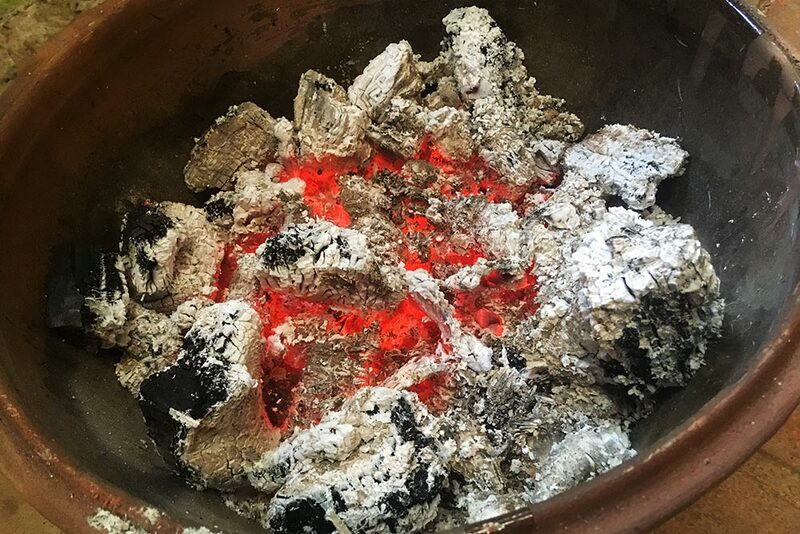 It was so cold that the restaurant we stopped at had bowls of hot coals burning inside the place for heat! The first hurdle to overcome was the cold. When we set off riding from Santa Cruz, we did so with multiple layers of clothing on. Even so, after riding only 20 minutes, we were just about ready to break out our winter mitts, that’s how cold it was (yes, we’ve been carrying winter mitts with us, even through Baja in the summertime). Instead, we ducked into a restaurant to have breakfast and let the sun warm the day a bit before we continued riding. Fortunately, that did the trick. 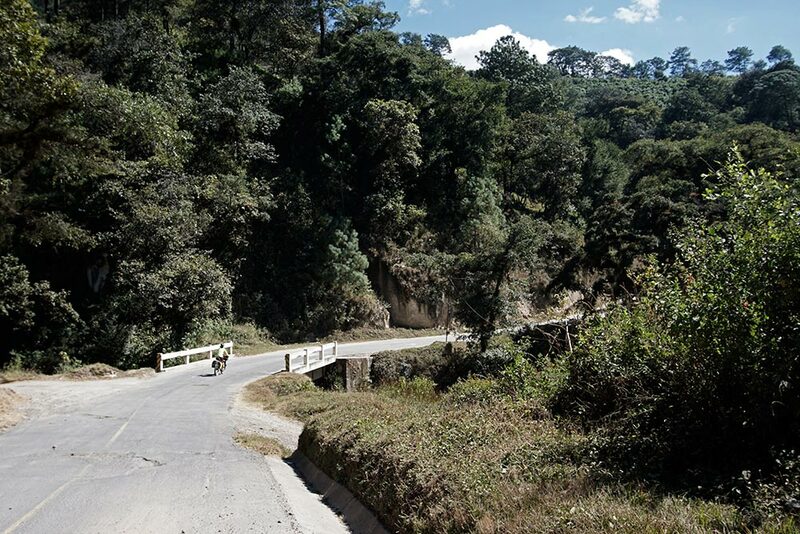 We also had to contend with three very steep descents and subsequent ascents, each of which involved dismounting and pushing our bikes up some insanely-steep switchbacks. In my last blog entry, I posted an image of what a 10-degree grade looks like. One of our navigation programs listed some of these hills at over 20 degrees! 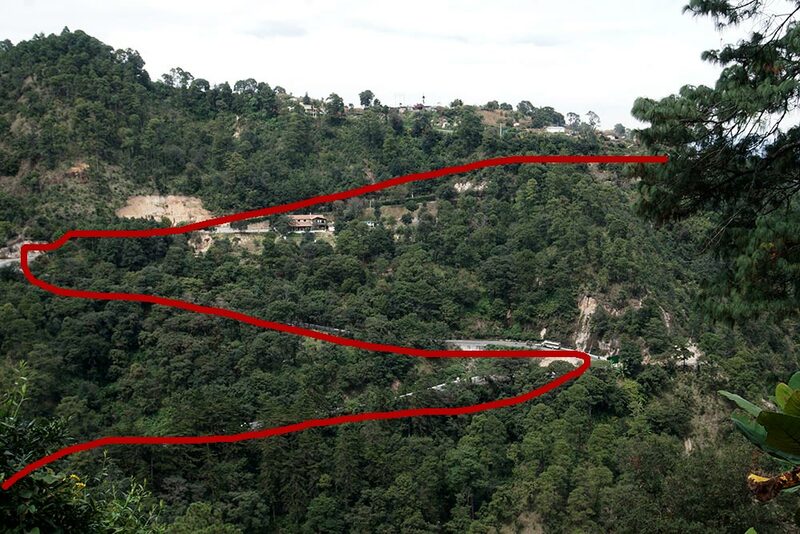 For scale, take note of the bus on the road just above the red line. 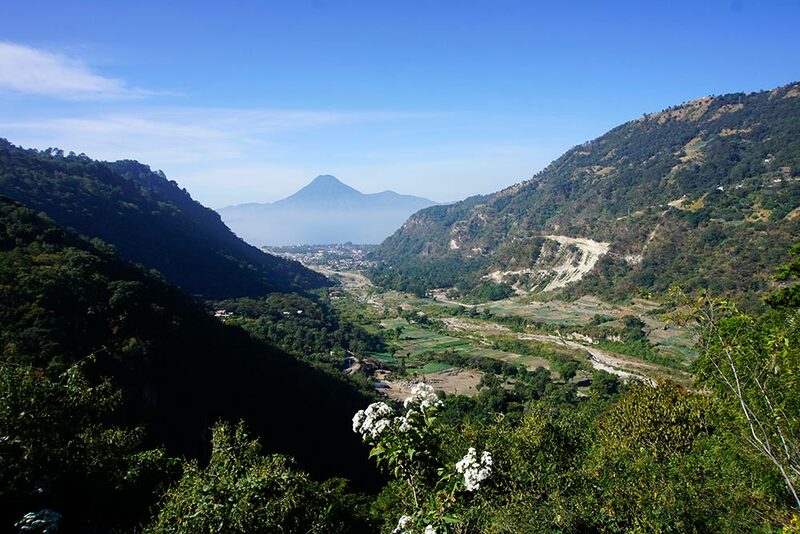 When we ultimately did begin the final descent to Panajachel, our destination at Lago Atitlan, we were forced to ride the brakes the entire way down. 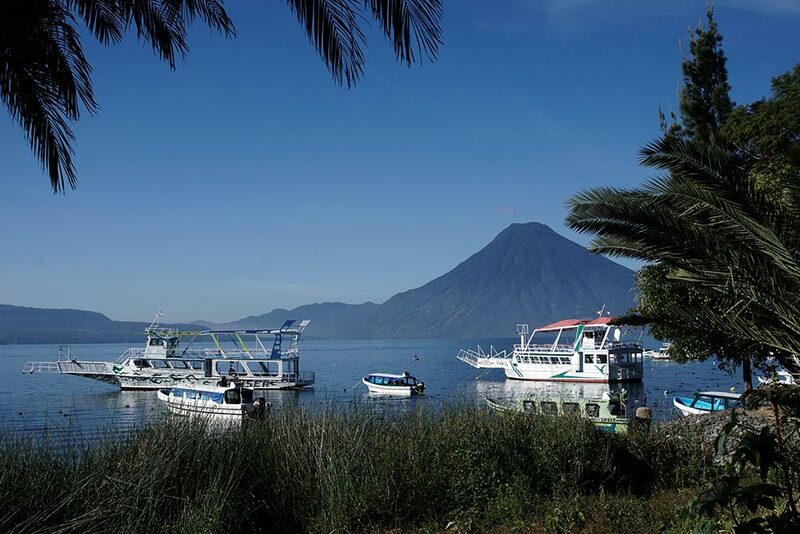 We stopped several times to let our fingers rest, our brakes cool, and to ogle the amazing view of Volcan San Pedro across the huge lake. It was quite stunning! 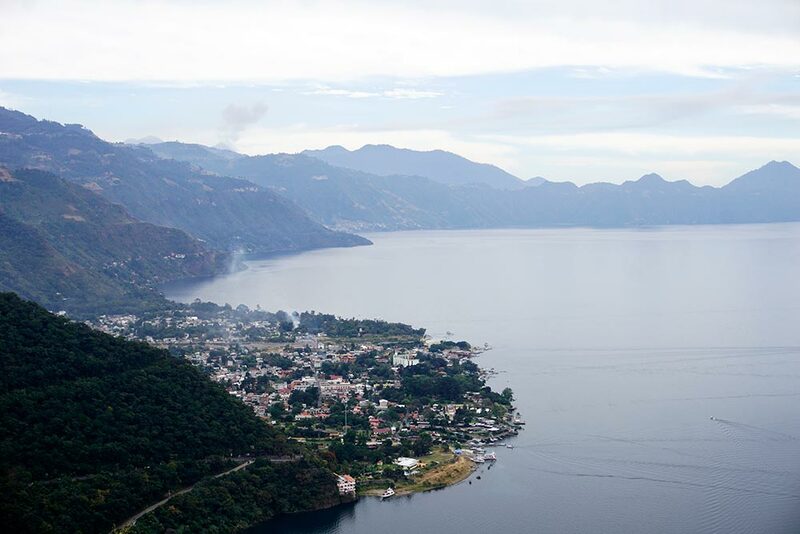 Our first views of Lake Atitlan. 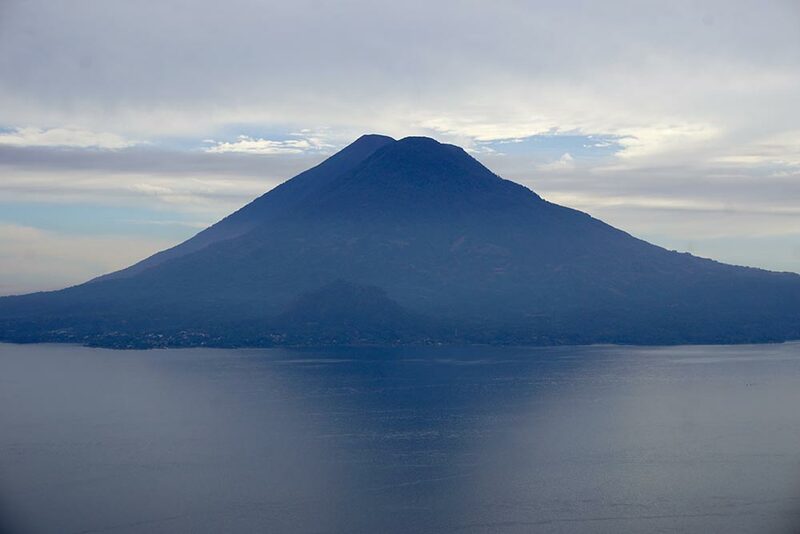 Panajachel, where we planned to stay. Panajachel was a cool town, albeit a bit touristy. It’s popular with tourists for good reason though and it attracted us just as it did hundreds of others travelers. So much so that we opted to stay there for three full days to explore the town, and to take advantage of its beautiful scenery and quaint shops and eating establishments. We were also happy to finally connect with Dave Refrow while there, a cyclist who we had been tracking for some time on Facebook (tracking, not stalking). He arrived the second day that we were in Panajachel and opted to stay at the same hotel that we had checked in to, making it easy for us to get to know one another. 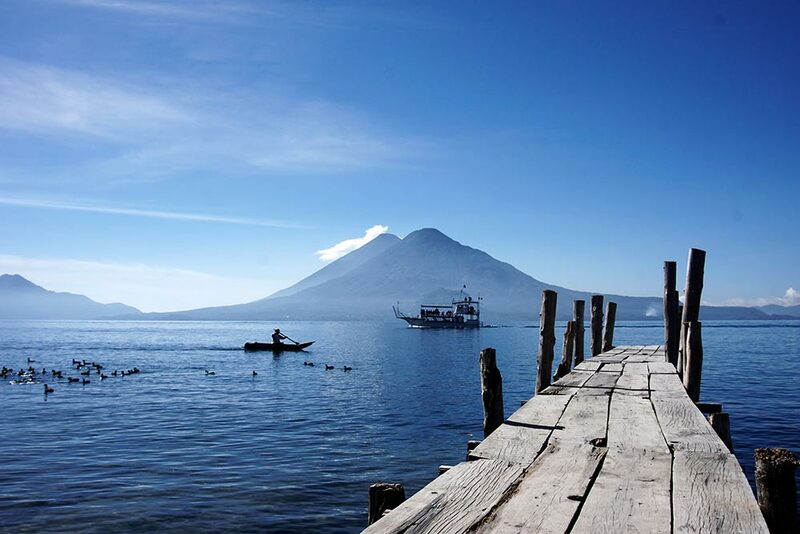 Boat trips are very popular for visitors to Panajachel. Enjoying a pre-breakfast walk along the waterfront. 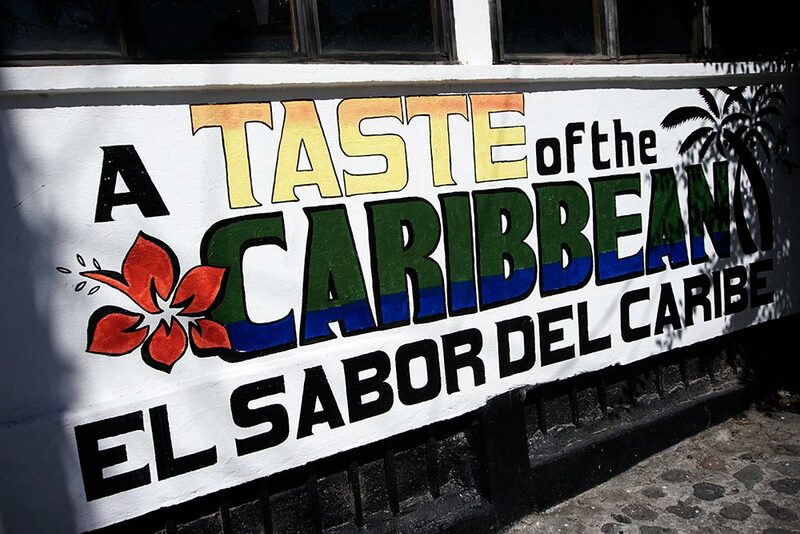 I sometimes forget that some Central American countries border the Caribbean. Over dinner, Dave explained to us that he has traveled this area by bike for a good portion of each of the last 4 years. As you might imagine, because of that he is a wealth of information. 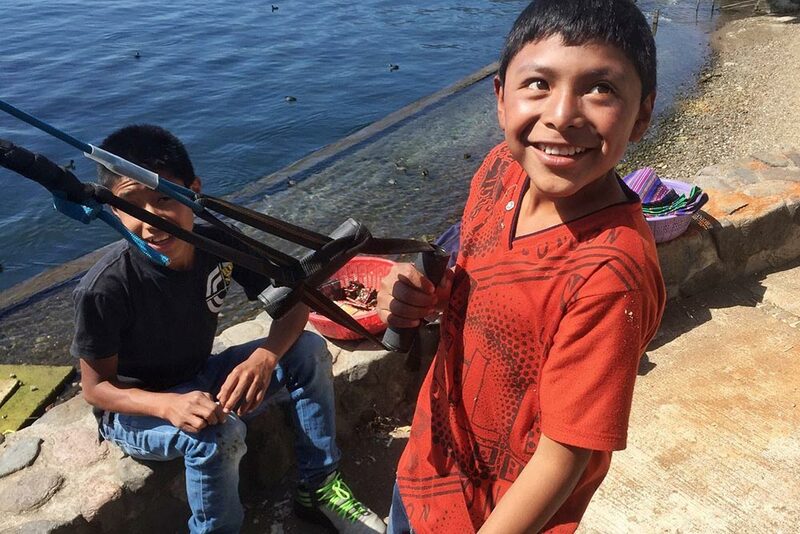 He also let us know about an organization that he’s been helping called Maya Pedal, a non-profit that builds and distributes pedal-powered machines. What kind of machines? Blenders, corn grinders, coffee grinders… that kind of stuff. Cool, right? Check out this awesome short video! Rocking my Mantus headlamp while changing brake pads. 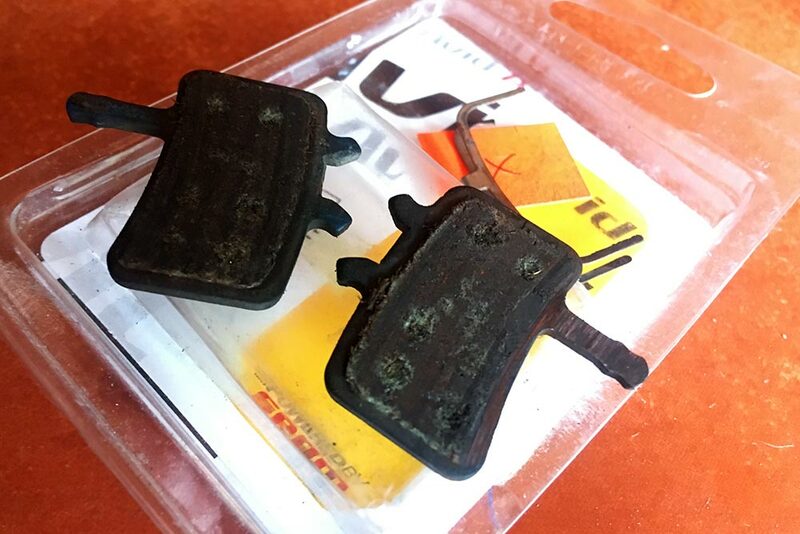 We sure got our money’s worth out of these pads! Rebecca made some kids smile while she was working out on the waterfront. The same kid from the above image challenged me to an arm wrestling match! 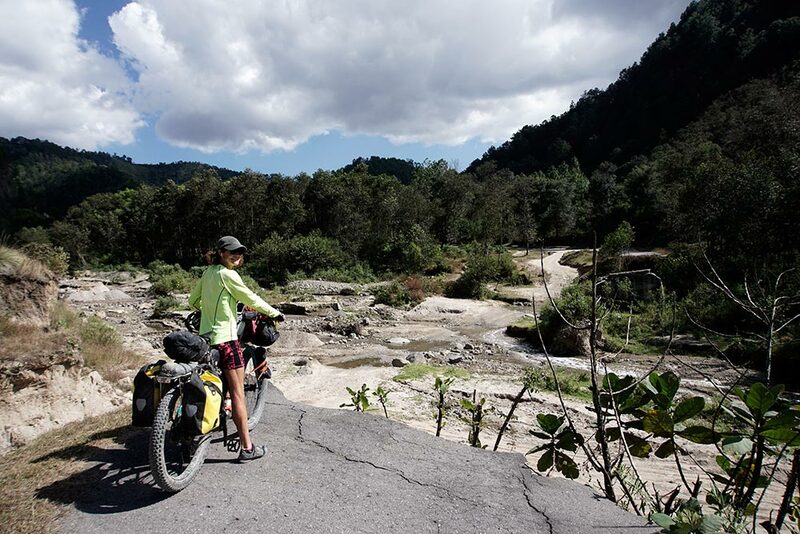 While Dave only spent one night in Panajachel, we remained another day but planned to connect down the road in San Andres Itzapa, the town where Maya Pedal is located. 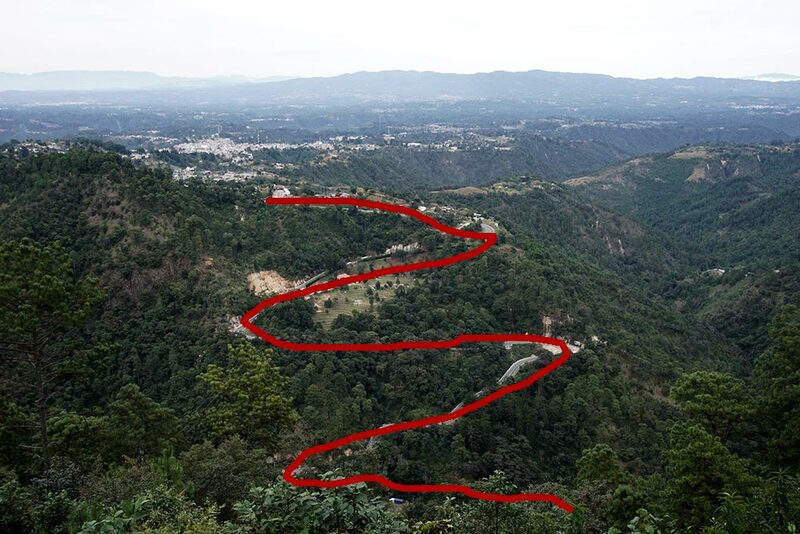 After all, it was on our route and all that stood in our way were the 2000′ high mountains that bordered the town! We started the day way down there by the lake! 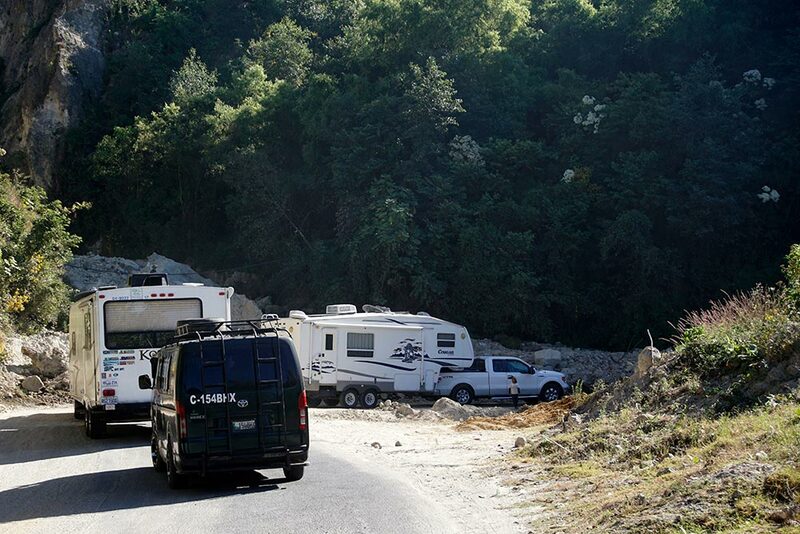 Two huge campers with Quebec license plates navigating the steep hills. They didn’t stop to talk. 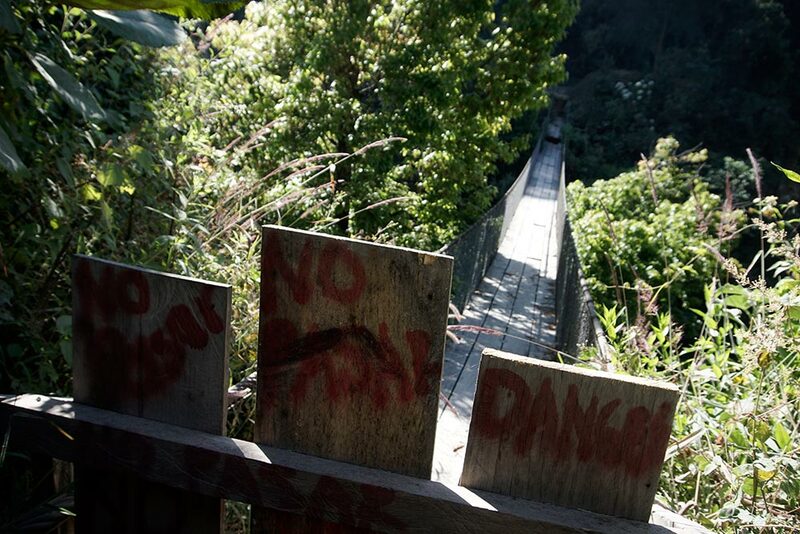 Sketchy suspension bridge. No pasar. You don’t have to tell me twice! 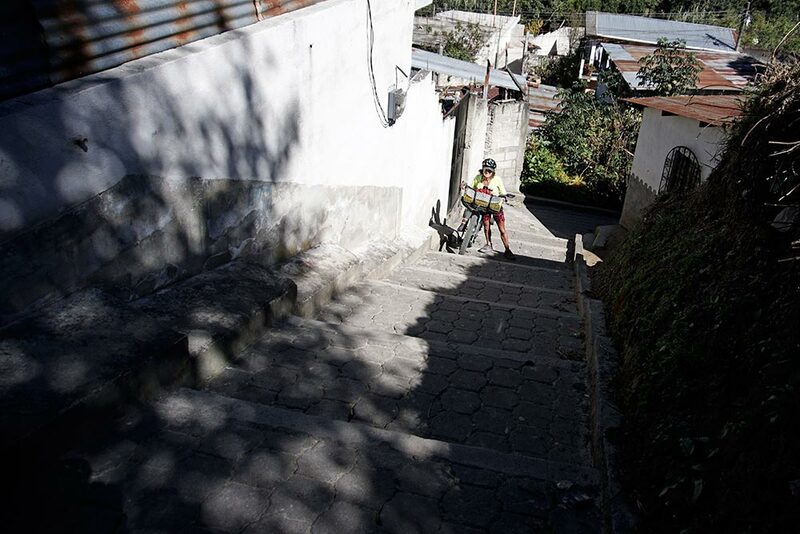 Surprisingly to us, when we did ultimately leave Panajachel, we were able to ride all the way up the first, long 800m climb. The second climb of the day, the one that followed a crazy descent to a bridge over a small river (remember what I said about bridges? ), was not so easy to manage. It’s been a while since our Google routing has played a trick on us like this. 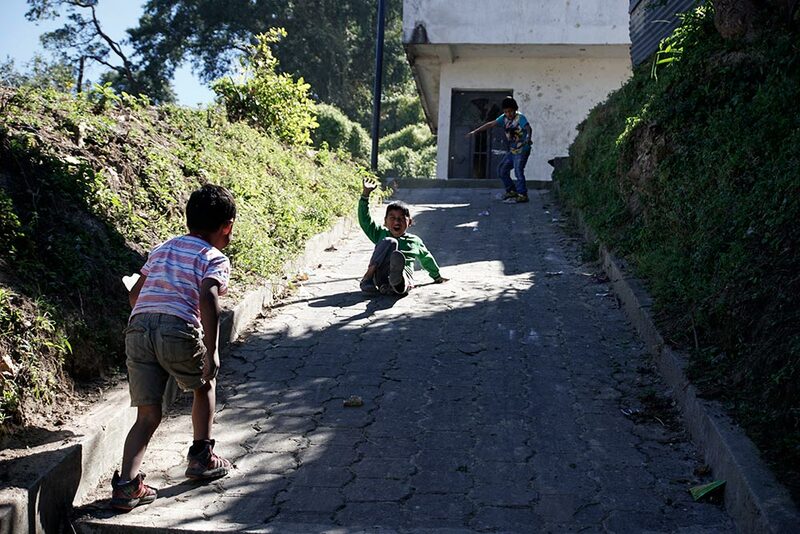 These kids were enjoying the steep steps more than us. 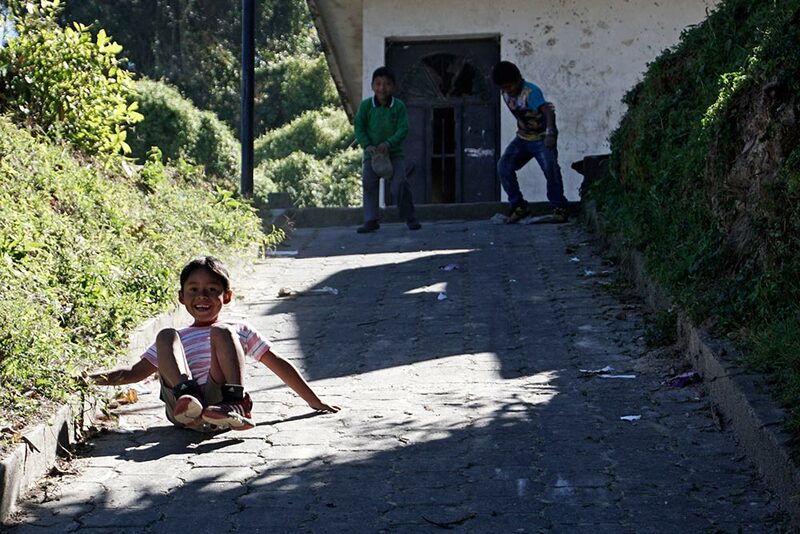 They are sliding down the slope on crushed soda pop bottles! See that road down there? Minutes after taking this shot we were riding on it. Remember what comes after bridges? Fortunately, the streams were not deep. Even though we thought that the ride to San Andres Itzapa would be relatively quick, it was still just before dark when we finally did arrive. 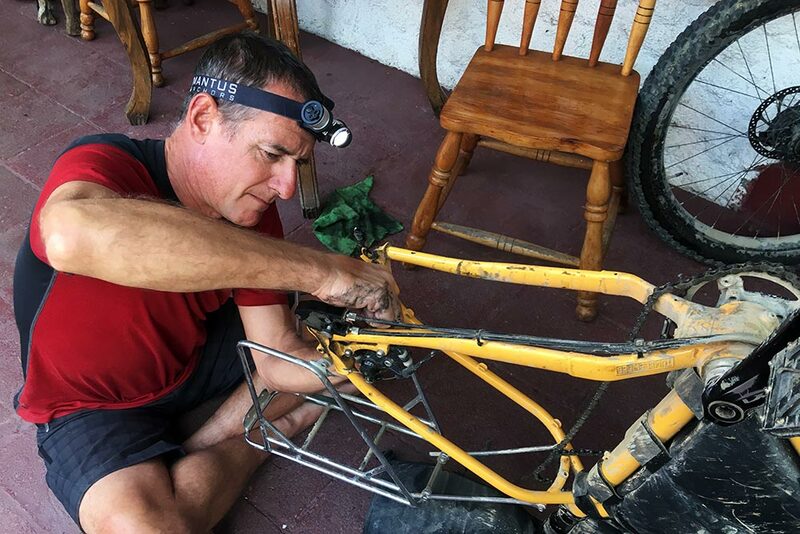 Upon arriving, we messaged our new friend Dave to ask if he had some intel on where we should spend the night and he surprised us by suggesting that we stay at Maya Pedal where he was staying. Isn’t it cool how things have a way of working out like that? I sure think so! 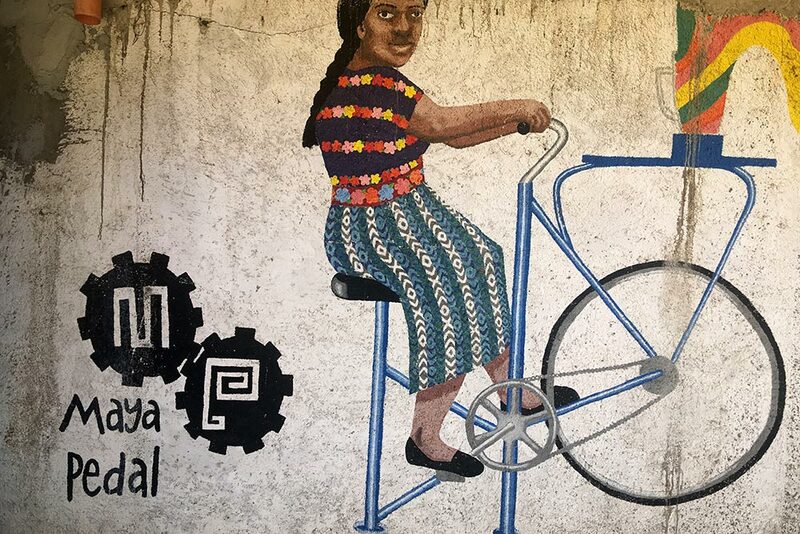 A mural outside Maya Pedal, our digs in San Andres Itzapa. Climbing the invisible mountain, and real ones too! Ushuaia, Argentina is the goal. Wow, that will be a ride of a lifetime!